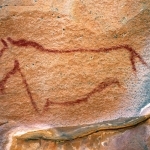 Most of Botswana is located in the central part of southern Africa and is bordered by Namibia to the west, South Africa to the south and east and the Caprivi Strip to the north. 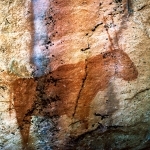 Most of the country is covered by the Kalahari Desert/Sands. 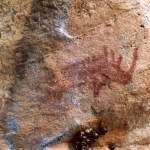 The only mountains or rocky hills are either on the eastern side of the country near the border with South Africa or in the extreme north east of the country near the borders with Namibia and the Caprivi Strip, west of the Okavango Delta. 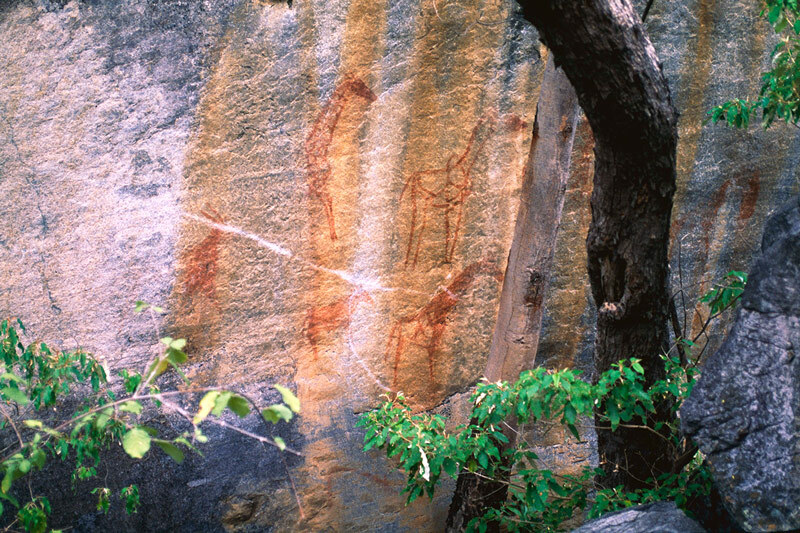 This is where the Tsodilo Hills are located, now a World Heritage rock art site where some 4,500 paintings have so far been recorded. 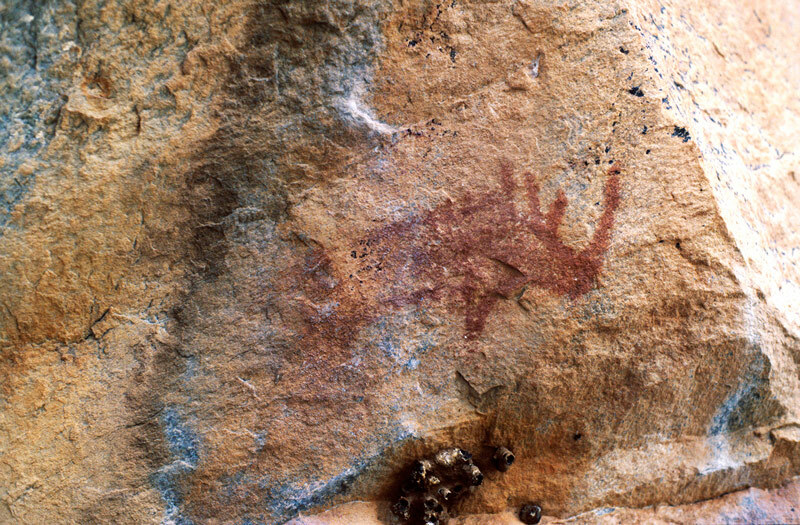 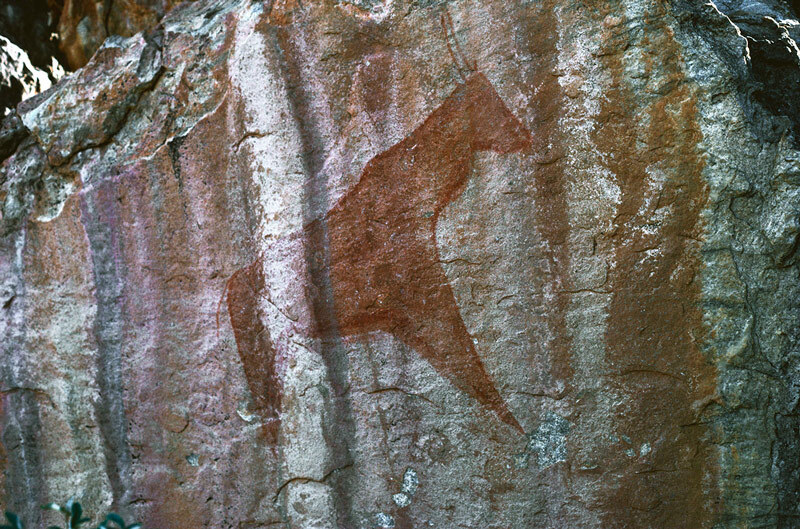 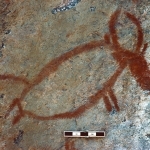 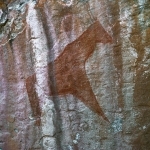 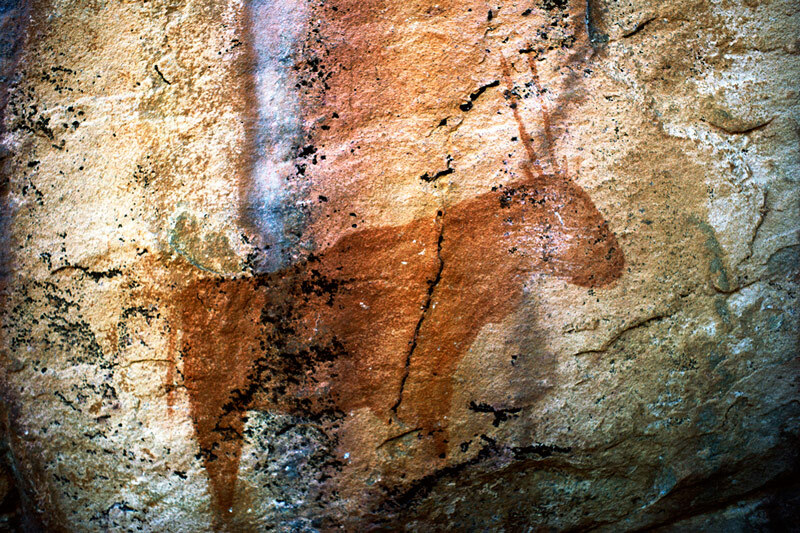 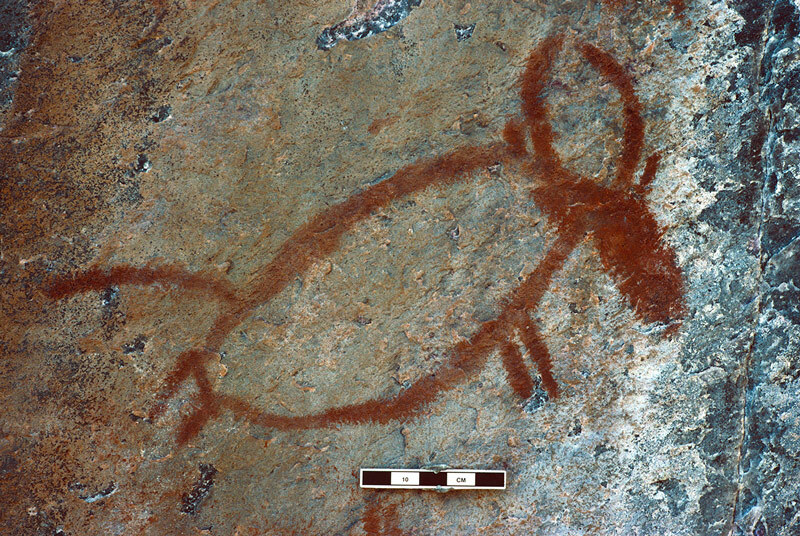 Although some of the paintings were made by San/Bushmen most are believed to have been made by Khoi (Khoe) people and also by Bantu immigrants like the Hambakush who arrived there about 1,800 years ago. 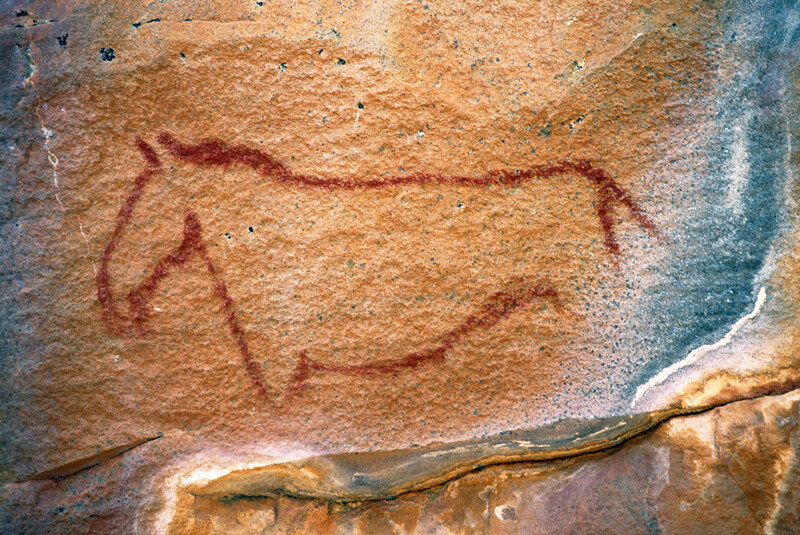 It is possible that most of this art was made during the last 2,000 years. 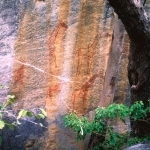 In eastern Botswana a lot of the art is San art but there is also some Khoe art in the east.